Hello! 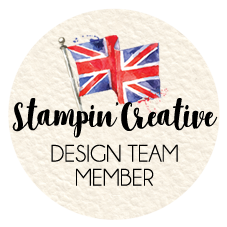 Today I’m very excited to be sharing, a new Stampin’ Up! 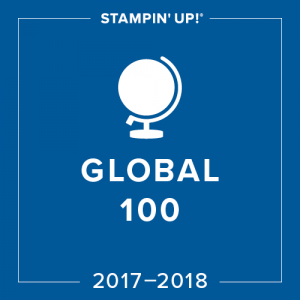 UK Stampissimo video featuring the Watercolor Wishes Card Kit and ME! Eeek so exciting. 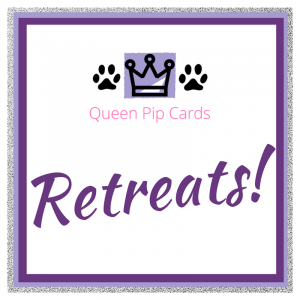 I’m also sharing some of the great “behind the scenes” photos and the cards I made today & throughout the week here and on my Facebook Page! 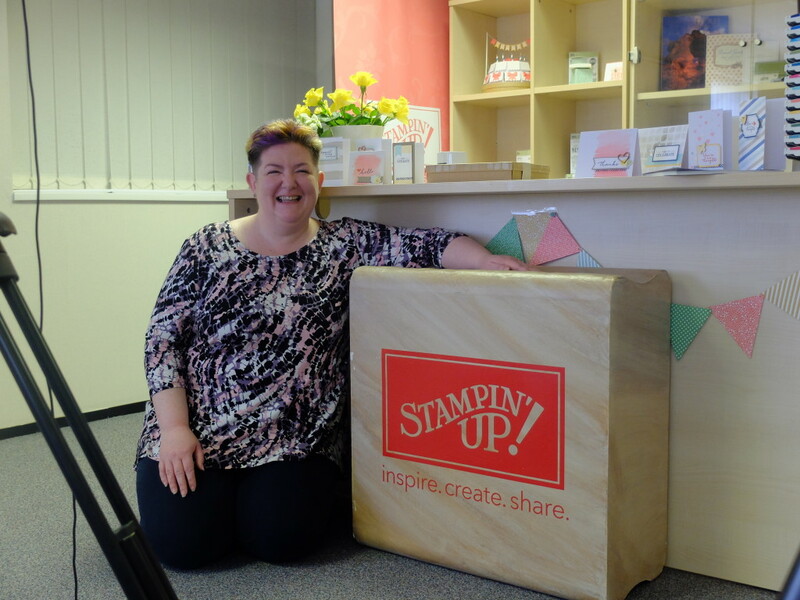 For those who don’t know, Stampissimo is the Stampin’ Up! 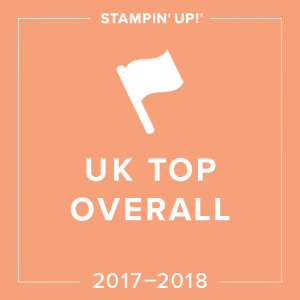 UK You Tube Channel where they showcase certain products, techniques or general Stampin’ Up! 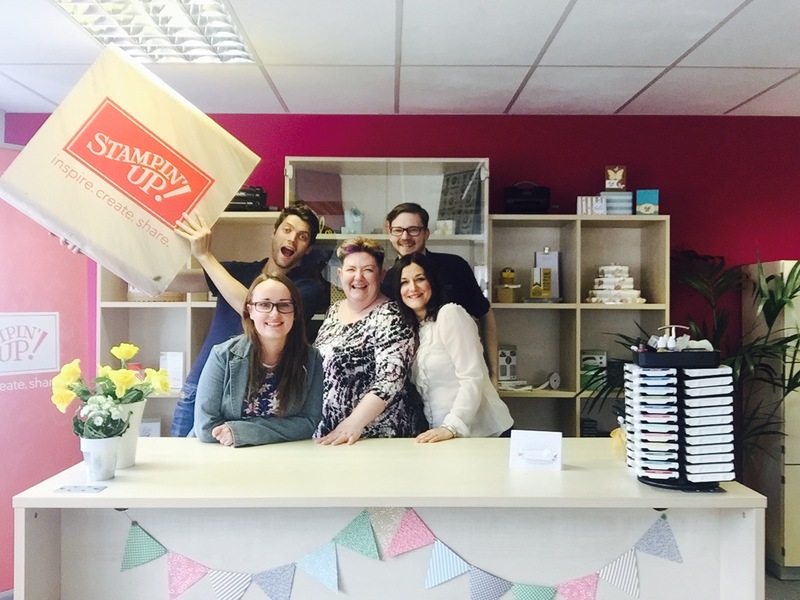 goodies with crafters around the UK (and world!). 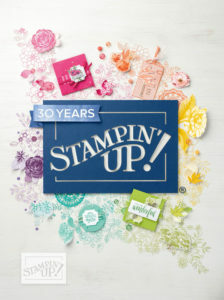 They partner with demonstrators like me to show how we use Stampin’ Up! 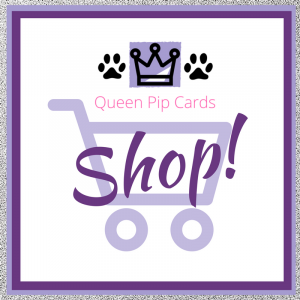 products, what we like about them and how they can be used. 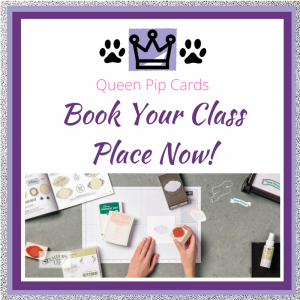 I was so thrilled and honoured to be asked to do this – so if you’ve ever wondered what it’s like to have a demonstration from me or how I teach people about the new products – now you can see for yourself! 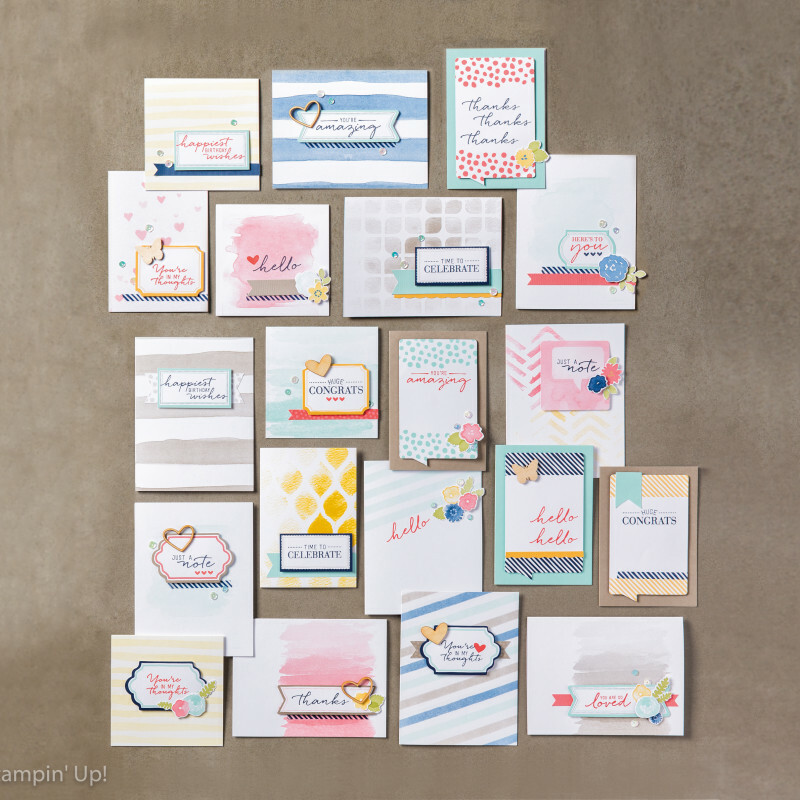 I hope you like what you see – I have to say the product I’m sharing is one of my ALL TIME favourites – Watercolour Wishes Card Kit – it’s amazing! 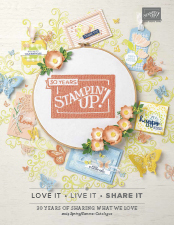 The ladies at Stampin’ Up! 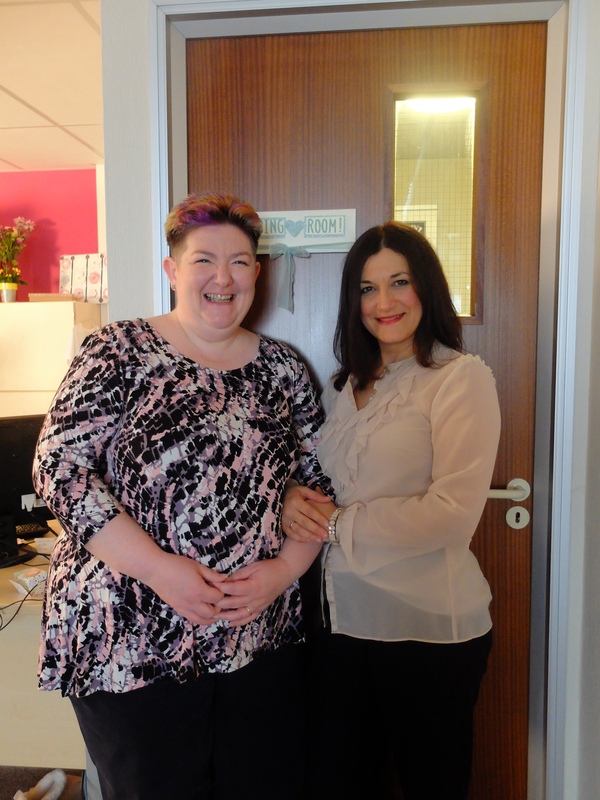 Paula and Kelly made me feel so welcome and relaxed, it’s quite daunting to have 2 huge lighting sets and 3 cameras pointing at you – but the film guys also made me feel very at ease – and of course I LOVE what I do and the products – so that bit was easy! Paula and I got ready in the dressing room! 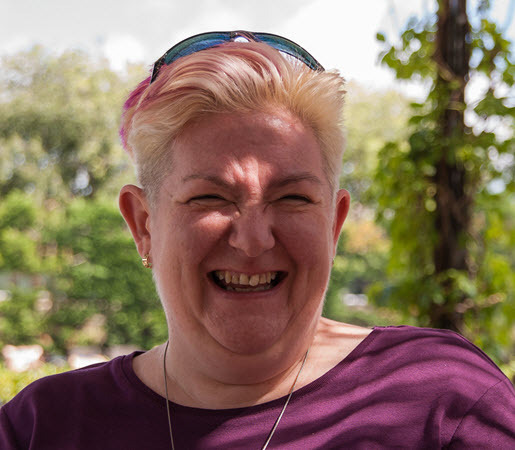 We did a couple of run through tries at what we were going to say and I prepared the station for what I’d need – and it really all went very smoothly indeed – almost no bloopers at all!! 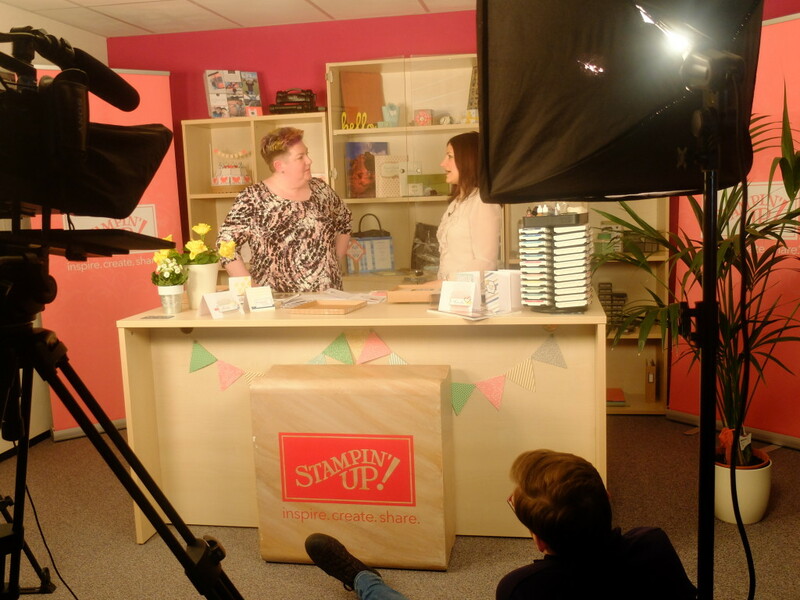 Here we are being filmed! I love this photo taken by Kelly of us being filmed! While James watches on from the floor!! If you want to purchase the Watercolor WIshes Card Kit you can do so through my Shop – just click on the link below and it will take you straight there. You get enough supplies to make 20 cards, each different all with a watercolour theme, it’s totally self sufficient you get the cards, embellishments, washi tape, Stampin’ Dimensionals (Foam pads), inks and stamps and I had all THIS left over at the end – WOW – you only really need some multipurpose glue and some Paper Snips (the best scissors EVER). 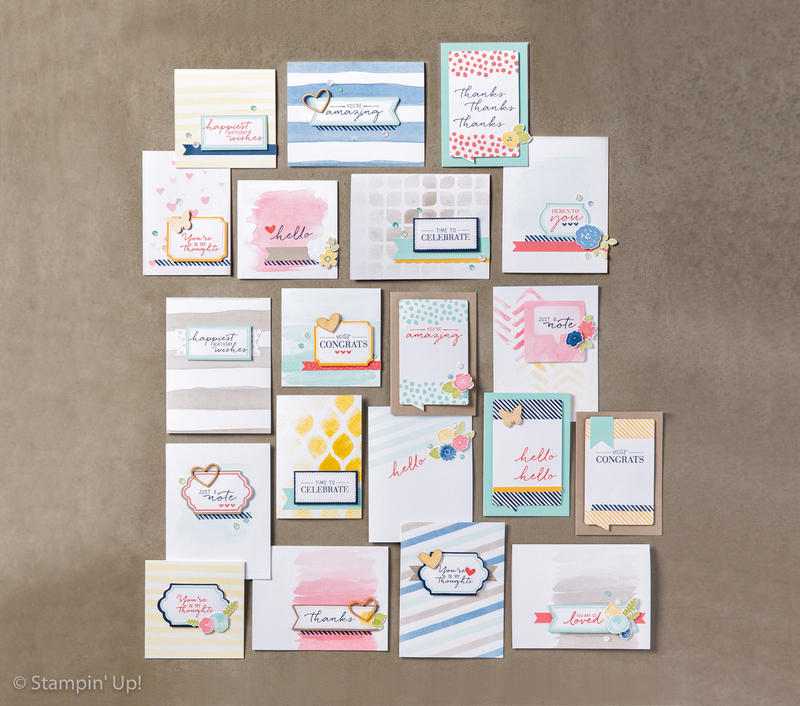 Once you’ve finished – you can use the stamps and ink etc for future projects. It’s amazing value for money at just £31.50 and great fun to make up. 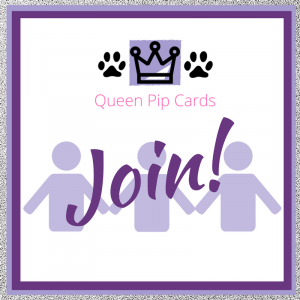 I had the most brilliant time, and best of all I get to share what I love with a massive new audience – so I hope that some of them will find their way to me here & join you my regular and loyal blog followers. 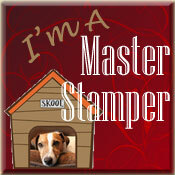 I’ll be showing the cards in more close up detail throughout this week – so pop back & check out my Facebook Page too.